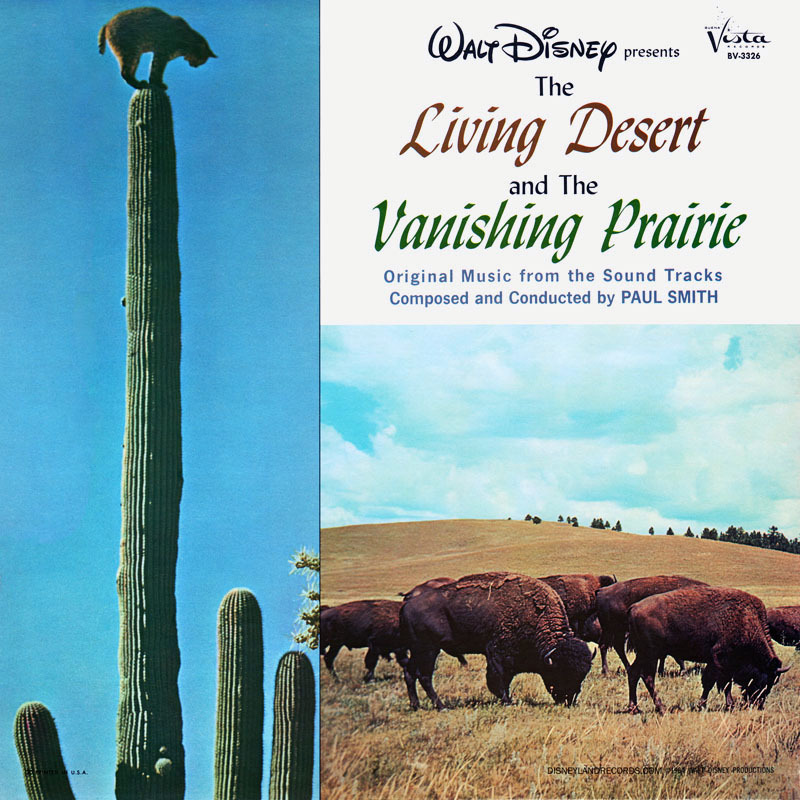 Record Comments: This album includes the soundtracks from two films that were previously released on other labels. 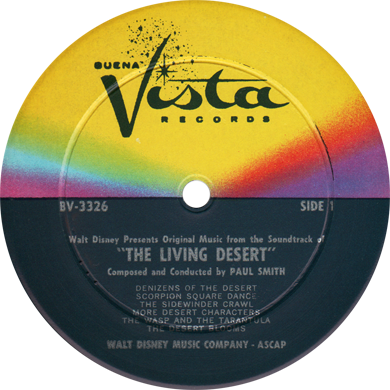 "The Living Desert" was first released in 1953 on the 7" RCA Victor EP (catalog number ERAS-1.) 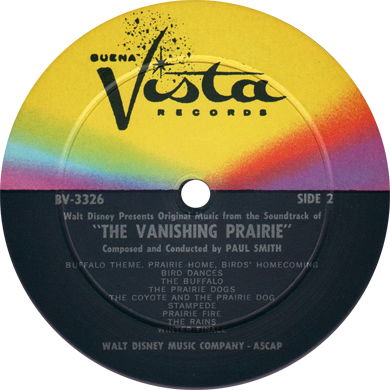 "The Vanishing Prairie" was first released in 1954 on the 10" Columbia LP (catalog number CL-6332) and included three additional minutes of content than on this issue. 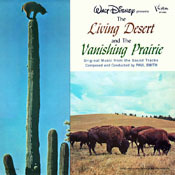 Subject Notes: The True-Life Adventures film series includes 6 full-length features and 7 shorts for a total of 13 nature films released from 1948 to 1960. 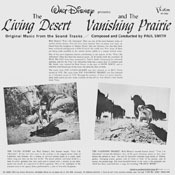 "The Living Desert" is a full-length feature and premiered in theaters during November of 1953 with a running time of approximately 69 minutes. 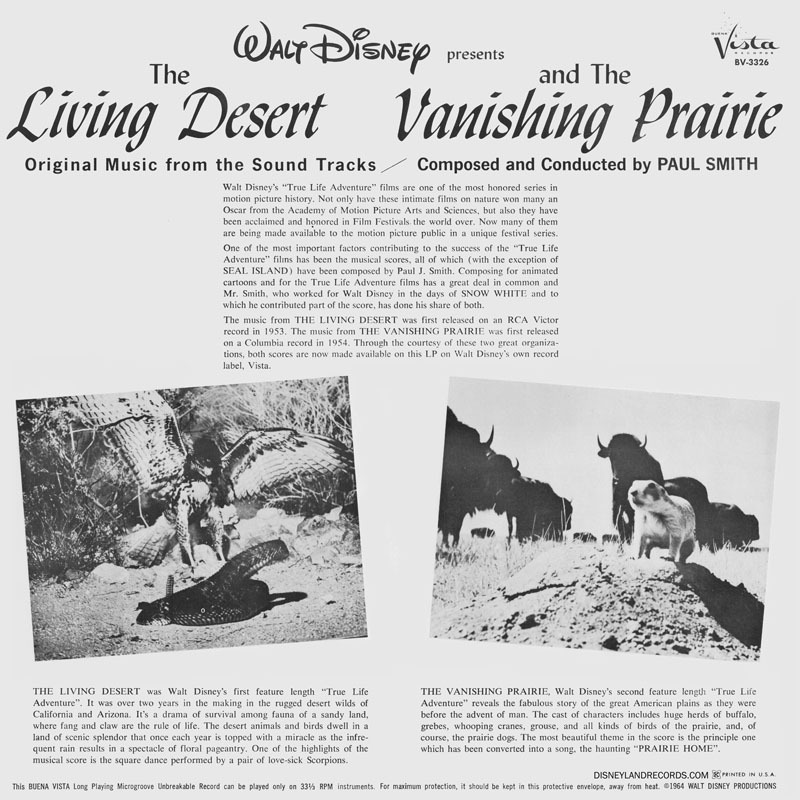 "The Vanishing Prairie" is a full-length feature and premiered in theaters during August of 1954 with a running time of approximately 74 minutes.